Technology | Watts Up With That? Has Al Gore Remade Silicon Valley in his Image? September 3, 2017 in Al Gore. April 27, 2012 in Energy. Josh notes that NASA’s Dr. James Hansen gets a medal in Edinburgh this week, and was flying sky-high, but was brought back down to earth by NASA astronauts that performed an unscheduled EVA into the rarefied atmosphere of “climate change”. April 11, 2012 in Humor, James Hansen, Satire. April 10, 2012 in NASA GISS. 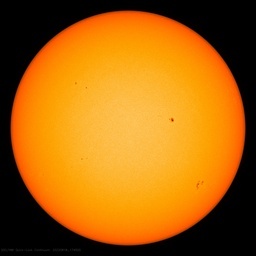 March 28, 2012 in Astronomy, Citizen science, Curious things. March 21, 2012 in Energy. February 29, 2012 in Carbon dioxide. December 17, 2011 in Citizen science. November 27, 2011 in Uncategorized.